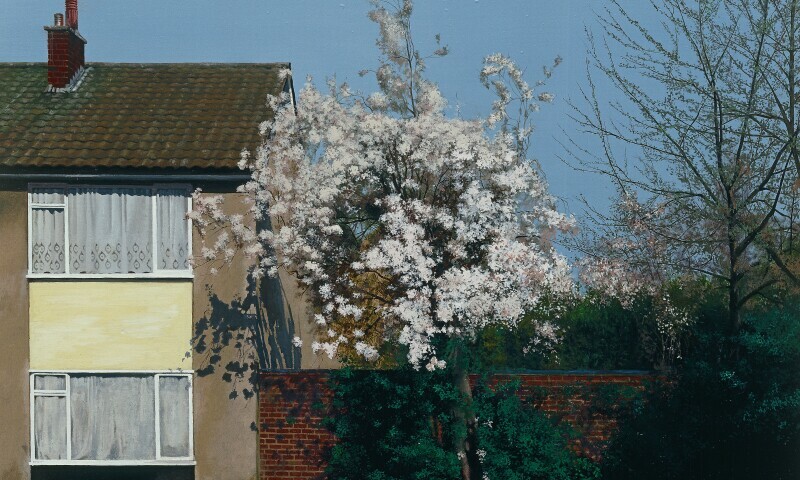 George Shaw, Scenes from the Passion: The Blossomiest Blossom, 2001, British Council Collection. George Shaw makes remarkable paintings of Tile Hill, the council estate in Coventry where he grew up in the Seventies and Eighties, that reveal the latent beauty even in the most mundane subject matter. Shaw’s hyper-realistic paintings record the run-down and often over-looked aspects of modern life. Where landscape painters such as Constable and Turner found majesty and the sublime in pastoral settings, Shaw does so in a world of abandoned garages, huge England flags in windows and foreboding paths through suburban woodland. A Corner of a Foreign Field is the first major retrospective of Shaw’s work, and Bath’s Holburne Museum is the only European venue for this exhibition. It will feature 20 paintings and 50 drawings that span Shaw’s career from 1996 to the present day, including several new works never previously seen in the UK.